Contrasto Armonico is Marco Vitale (Italy), Enrique Gomez-Cabrero Fernandez (Spain) and Romeo Ciuffa (Italy). 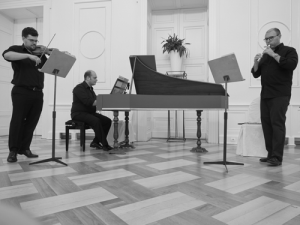 This renowned ensemble based in the Netherlands focuses on the performance of baroque music using copies of original instruments, and historical performance practices. The goal of their ensemble is to get as close as possible to the style and aesthetic intended by the composer. 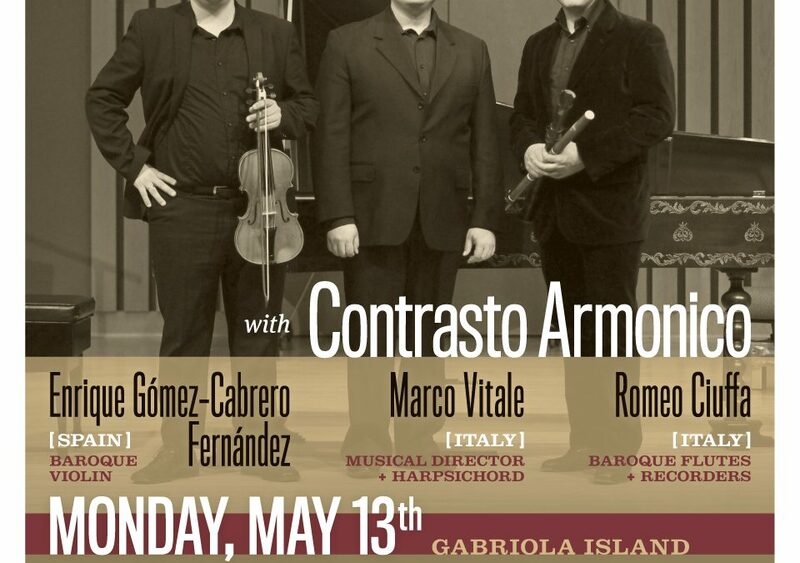 Their performance on Gabriola will be Contrasto Armonico’s debut performance in Canada. “Baroque Europe – a musical journey” will feature compositions by Telemann, Sammartini, Williams, Senaille, Boismortier, Purcell, and Quantz. Contrasto Armonico will bring with them a beautiful single register harpsichord, based on a 17th century Flemish instrument and built by Fabrizio Acanfora in Barcelona. These players are highly respected throughout Europe, and will astound with their musicianship and virtuosity. This is an event not to be missed! Tickets on sale at North Road Sports & Clothing.